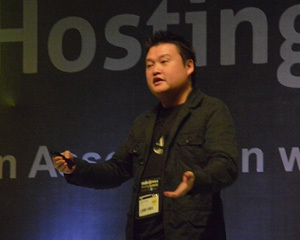 DELHI, INDIA -- Edmon Chung, DotAsia CEO, presented at the ResellerClub Hosting Summit Friday on the importance of IDNs and its implications for small businesses. 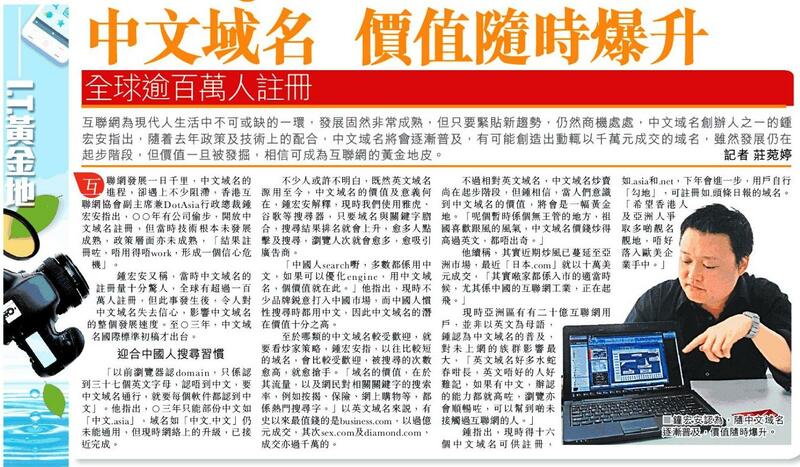 Chung says that the purpose of an IDN is to get more people online. With localized domain names, it is easier for businesses to relate to customers. Businesses in India use local language and this becomes an added advantage for SMBs, he says. "On the internet, perception is a reality," he says. Domain names once were used as merely a navigation tool but they are now recognized as a brand itself. Chung says 30 percent of Google's ranking algorithm is based solely on domain names. Deciding on a company name before a domain name: Chung says that this selection should go hand in hand; that is, a company name should be decided by keeping the domain name in perspective. People tend to register very long domain names which makes it very tough to memorize or recollect thereby losing its novelty. People are generally not willing to spend too much on domain names. He said that small sites should resort to names that are general which makes it more meaningful and that is where IDNs come into play. He urged the audience to have more than one domain associated to their business so that the traffic meant for their domains can be reclaimed by the subordinate domains that are used for the business along with the central domain. Chung explained how users have been searching in their local language and how these searches could reach the right destination owing to IDNs. He says searches on Facebook and Twitter have surpassed Google in some areas, thereby emphasizing on the potential use of IDNs. Having a .com site could mean less to the general mass, according to Chung. That is, they might relate .com to computer, communication, company, etc. 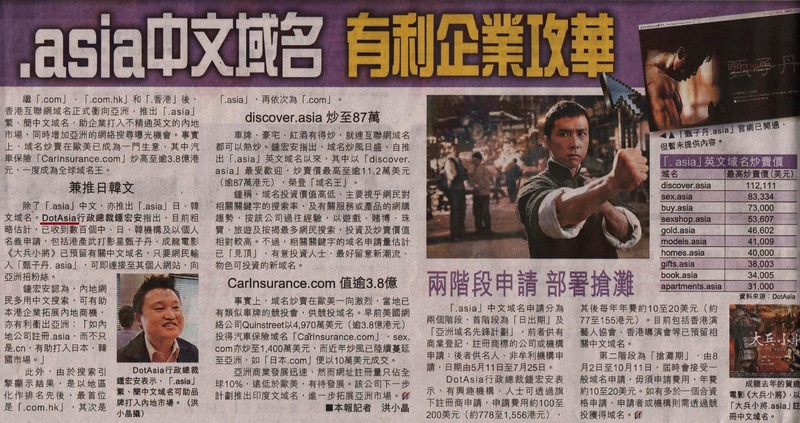 Whereas, when it comes to .asia it's not the case, because the correspondence to the domain name is strong. 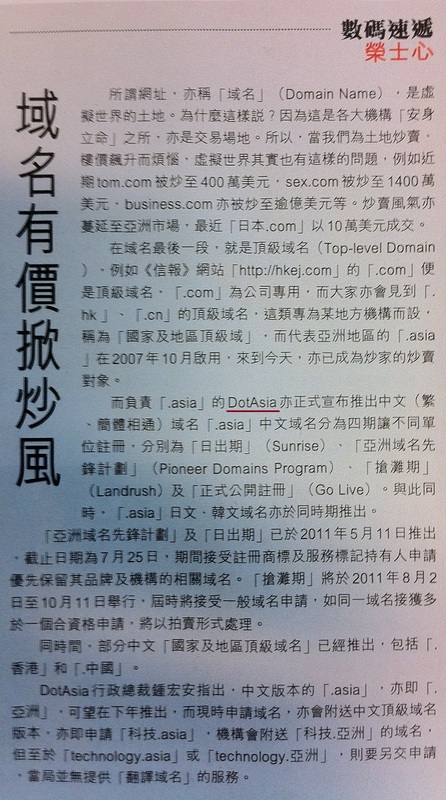 DotAsia is one the very few gTLDs that has opted for IDNs to be integrated into its TLDs. For Indian markets, Chung says if a small business wants to move a step closer towards making their products or services available to a larger audience, a .asia website would be helpful. Chung says Google and Amazon are vying for namespace and cloud space with 101 and 76 new gTLD applications, respectively. He mentioned how there has been a rise in the usage of registration of .asia gTLDs as the highest number of registrations for .asia was from Japan as opposed to the US last year. 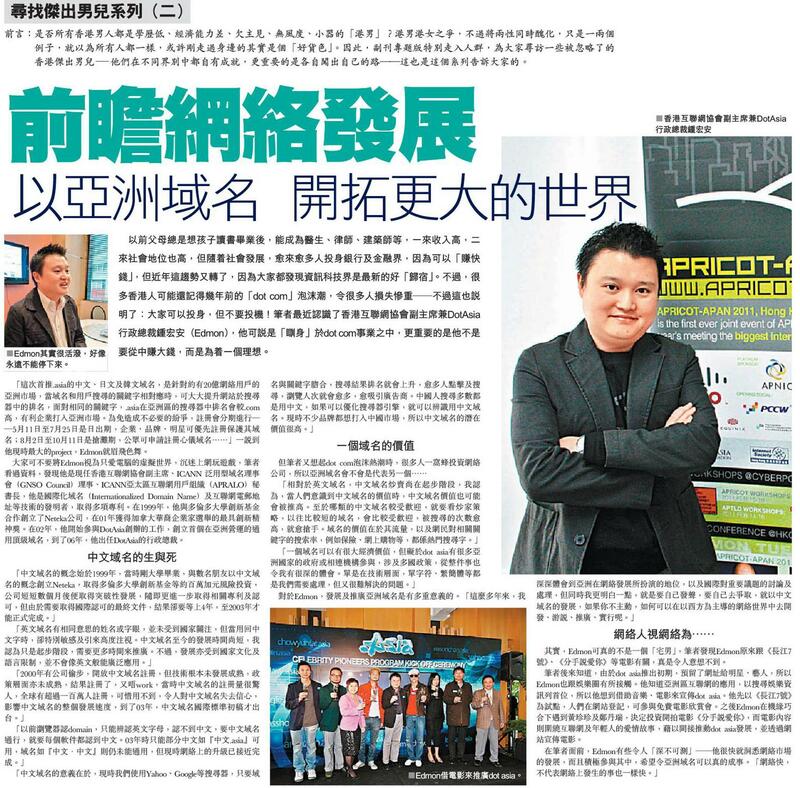 DotAsia now has its presence growing in India too. For instance Indian sites like flyingfox.asia and delhi99.asia are making their presence felt locally. Chung concluded his presentation by discussing why DotAsia is not only about generating revenue but is also about creating more value by initiatives like olpc.asia (One Laptop Per Child). This page contains a single entry by Webmaster published on October 18, 2013 5:35 PM. .ASIA as One of the First Wave of New gTLDs Goes Live with Chinese, Japanese & Korean IDN Registrations was the previous entry in this blog.